Each team will need to register by clicking on this link using their team Got Soccer account. 2. Copy of all NEW players’ birth certificates. If your team is new to RYSA, please send a copy of all players’ birth certificates. Once the team is registered and all contracts and birth certificates are verified then a roster will be generated and sent to the team manager via email and available in the team account. 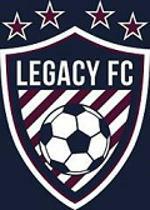 Fees: Each player is $30.00 for the full soccer year. Each coaching staff member is $5.00 for the full soccer year. All teams will be invoiced the end of July, with payment due by August 12th. For more information, please contact Nicole James at 469-342-6600.